You can follow the Pierateers on Twitter and find out how our #PiePledges are going! You can read about pies. You can think up some puns for the Pie Dictionary! You can suggest a pie you’ve enjoyed. 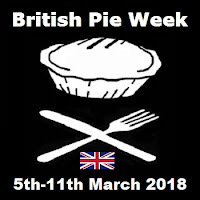 As for the Pierateers, we are ready and waiting for probably the biggest British Pie Week yet! 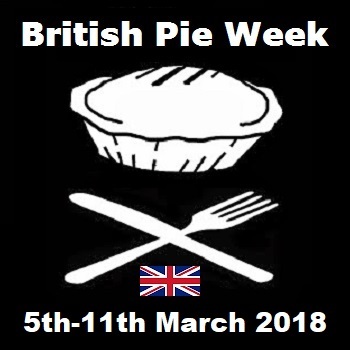 We've made Pie Pledges for this week in our Friday Pieday Pie Week Special, showing our commitment to pie, plus this year the British Pie Awards 2018 are once again taking place in British Pie Week! We'll be there as media to cover the event and Pierateer Sam will be judging again. Nice Pie's Pierate Logo Pie from British Pie Week 2014! 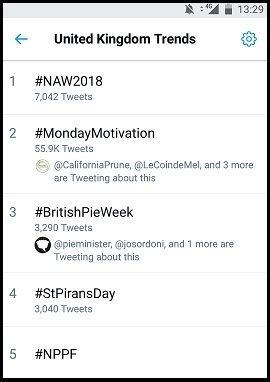 It seems this year, more than any before, people are bigging up British Pie Week. Plenty of pubs and shops are doing something special for British Pie Week... but weirdly the pastry company who invented British Pie Week (to sell more pastry) have decided to once again ditch it! The end result of which is this... Pierate Pie Reviews is the home of British Pie Week!!! So whatever you do, go crazy for pie this British Pie Week! Enjoy! 3) Organise a pie night - which is what is happening on Tuesday evening in Birmingham! I look forward to keeping you updated with how I get on with all these pie pledges this week! As for today... well day one of British Pie Week started with me listening to BBC Radio 2 and pie fanatic Chris Evans on the Breakfast Show from 6:30-9:30am! And having got up at stupid o'clock in the morning to listen, Chris managed to spend the first hour or so referencing the Pasty Championships that happened at the weekend, and not a word about British Pie Week!! I was beginning to wonder whether I'd missed a change in Chris Evans' pastry pallet since last pie week, but fortunately all was not lost, as the final hour and a half the word pie or British Pie Week must have been referenced about a dozen times - most humorously when discussing how fellow DJ Zoe Ball should pick up pies on her e-pie-c bike ride raising money for charity Sport Relief! We will wait to see through the week whether Zoe rises to the challenge, but I am certainly glad I rose to the challenge of getting up early in the end! 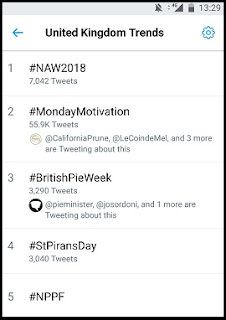 At one point during lunchtime #BritishPieWeek was trending at an incredible 3rd place in the UK trends! Not bad for a week about pies - especially when the Oscars had dominated the trends overnight and in the morning! After a number of pie related conversations at work I got home to dig into two pies delivered to me by Radfords Pie Company on Friday. The name may ring a bell as it is the same Radford family who star in hit Channel 4 series "15 kids and counting" all the way up to the recent "20 kids and counting". 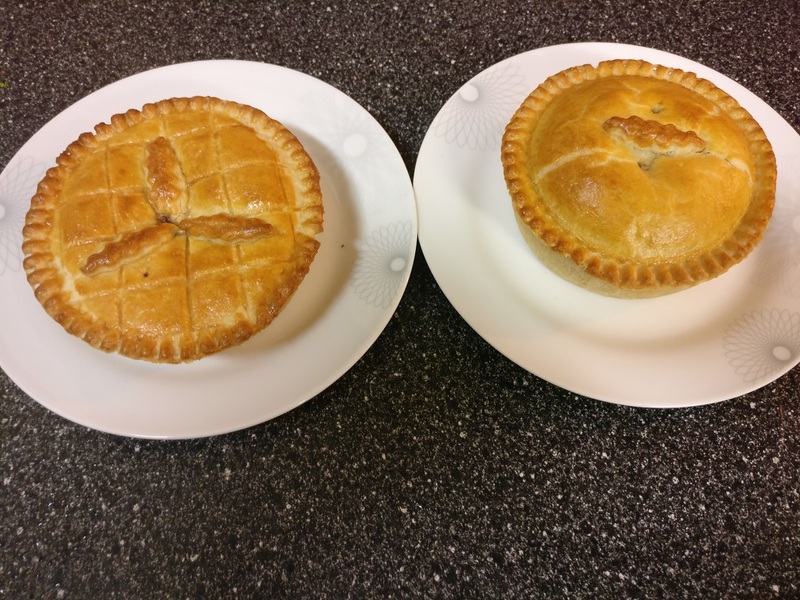 They own and run Radford's Pie Company up near Morecambe and the reviews of their previously rated pies are some of the most viewed articles on Pierate Pie Reviews - especially when considering just the pie reviews themselves. I'll be rating them fully soon but safe to say both the Venison and Beef in Red Wine pies were very good and both are at least Pierate Recommended. Find out the full score later in the week!